Are you looking for a central heating engineer in Hampshire? If the answer is yes, then look no further than Emergency Plumbers Hampshire. We’re a company that strives to make a difference for our customers. With a wealth of experience and extensive training carried out to required regulations, we strive to exceed industry quality standards in all our central heating repairs and installations. 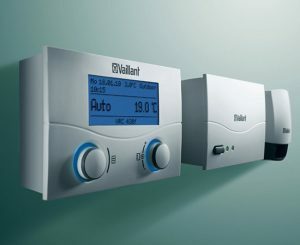 We offer central heating installations in Hampshire for residential, commercial and industrial premises. In the case of emergency breakdowns, our 24-hour service for central heating repairs offers comfort and safety when you need it most. Our central heating engineers implement quick solutions with the utmost care and respect for your individual needs. On request, we can visit our customers’ premises for monthly and annual inspections and conduct the necessary central heating repairs to maintain well-functioning heating systems. At Emergency Plumbers Hampshire we are armed with professional engineers to accomplish the best possible results at the fairest of prices by conducting installations and repairs for central heating systems in Hampshire in a professional, effective and efficient manner. Our company has grown from strength to strength because we invest in the latest, state of the art technologies and engineering equipment. We are renowned in Hampshire for our central heating services thanks to the continuous learning and development we undertake and our friendly and genuine approach. So, why not give us a call today on 01489 31discusso dicsuss your requirements in greater detail.